In the past month, SOS Outreach joined forces with Beaver Creek Resort and Copper Mountain to bring the first annual Leadership Days to Eagle County and Summit County participants, respectively. At Beaver Creek, participants spent the day skiing and riding around the mountain while visiting the various departments that make up the resort - from HR to ski school and ski patrol to mountain operations who keep the lifts turning and the runs groomed. In Summit County, 10 SOS participants went behind the scenes of Copper, visiting with lift ops, ski patrol, rental/retail, risk management and safety/security, employee housing/community, marketing/PR, ski school/woodward, and terrain parks. 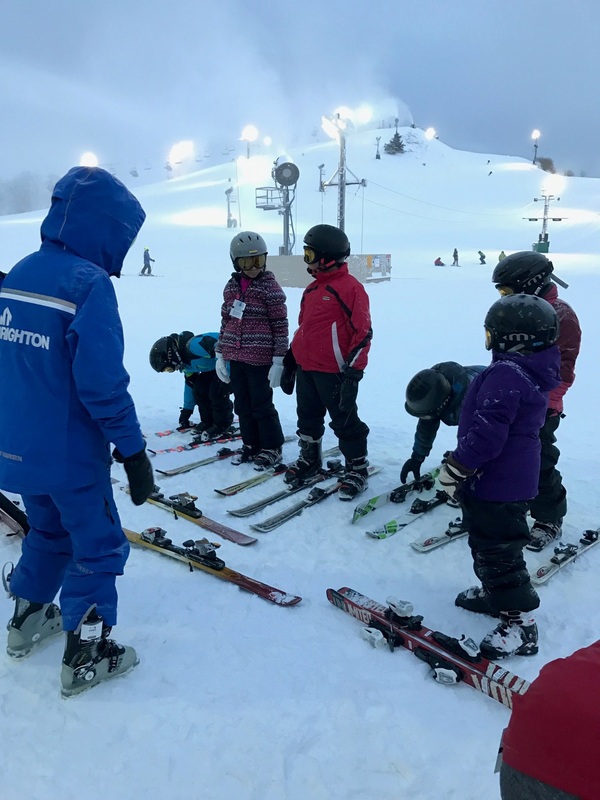 With an activity at each stop, kids were able to learn about avalanches via strawberry shortcake, social media via Instagram post creation, and terrain park maintenance via model building. Of the day, SOS Program Director, Scott Partan commented, “This important day is an amazing opportunity for our youth, who already have a huge passion for skiing and snowboarding, to see the behind the scenes of what makes the mountain run which will hopefully spark an interest in pursuing a career in the ski industry and provide a look at what those possibilities are!” Thank you to both Beaver Creek and Copper Mountain for expanding our participants’ understanding of the outdoors as a pathway to a brighter future. We caught up with SOS Outreach graduate, Travis to ask him about his experiences in SOS and the lessons he learned from the program. We also asked him what it feels like to come full circle and now coordinate SOS’ newest program in Chicago at Vail Resorts’ Wilmot Mountain! We’re incredibly proud of his accomplishments and want to celebrate the unique perspective he brings to the organization. How many years were you in SOS? I started SOS when I was 10 years old in 5th grade. I enrolled in the Learn to Ride program and was immediately infatuated with snowboarding. I was given a mentor and access to activities I previously did not have. What was your favorite part of SOS programs? SOS gave me adult mentors to look up to. My favorite part of SOS in one word is "opportunity".SOS gave me the opportunity to learn basics of snowsports, have positive adult mentors to look up to, and access to a dream of competitive snowboarding through attending the Vail Ski & Snowboard Academy. Can you talk about any major lessons you learned in SOS? During my first year as a Junior Sherpa [mentor], I learned valuable skills in leadership that I still use today. Not only was I a mentor to the students coming up through the University program, but I was also challenged to build relationships with staff, adult sherpas, and parents. Learning how to communicate and lead through different generations, hierarchical structures, and positions was incredibly rewarding for me as a student in the program. While SOS gave me the opportunity to participate in the Vail Ski & Snowboard Academy, I was also required to uphold my obligation to serving as a Jr. Sherpa [mentor]. This was a very challenging endeavor for my twin brother and I as we had an hour commute to and from school each day. As a teen, I was given the opportunity to better myself and develop skills in a supportive environment. What does it mean to come full circle and now work for SOS? For me, working for SOS is another opportunity to give back all the support that SOS gave me. One of the largest lessons I learned growing up through SOS was that you get out what you put into an organization. Being able to give back to an organization that I learned so much from is rewarding in itself. I am able to take the values and skills that I through both my experience as an SOS participant and my professional career and contribute to the students and organization. SOS is a values-based organization. While the access SOS gives to participants in their communities is paramount, I truly believe the fundamental way to improve the personal experience is through continued value-based education. SOS Taps Into the Transformative Power of the River with O.A.R.S. It’s not often that the opportunity to unplug from the hustle and bustle of life and connect with nature presents itself. Last month, SOS Outreach, a leader in outdoor-based youth development, joined forces with legendary whitewater rafting and adventure travel experts, O.A.R.S., to offer its participants an opportunity to do just that. Across one day and week-long excursions on the American and Colorado Rivers, Colorado and Lake Tahoe-based SOS participants, all well accustomed to the challenges of learning new outdoor adventure sports through their tenure with SOS Outreach, conquered new obstacles and were left forever changed. After a full year of anticipation, a group of SOS high school students from across Colorado tackled a 55 mile stretch of the Colorado River through Grand Canyon. The contrast between the scenery, the history, the rush of the whitewater contrasted against the relaxation of floating, and the isolation of the canyon, created a unique community that fostered teamwork and inspired deep introspection. Scott Partan, SOS program director, elaborates, “These kids were totally pushed out of their comfort zones. During the trip, it was reinforced that the combination of learning a new outdoor activity in one of the most amazing geographic regions in the world alongside incredibly experienced guides who sagely relayed the lessons of the river, gave our youth an experience that they will remember for the rest of their lives.” Reflecting on his own experience, 14-year old Denver SOS participant Brenden, elaborates, "The river's especially given me hope for life and hope for my dreams. No matter what, the river always keeps moving. If there's an obstacle in its way, it wears at it until it overcomes it. That's extreme determination and that is something that I'm going to keep working on in myself. The river's changed me into who I am now, from who I was back then." In California, Lake Tahoe-based SOS participants enjoyed a day whitewater rafting on the American River and similar sentiments were shared. Seventh grader, Kassandra, exclaimed, “Man did I use courage today, like I have never used it before!” Regional Director, Joan Dieter expands, “This time on the river required youth to put the leadership skills and core values taught through SOS [curriculum], like courage, discipline, integrity, wisdom, compassion, and humility to the test. These skills and values have become habitual for our participants, and watching the transformation gave me immense pride in our participants and our programs.” SOS Outreach is honored by the shared commitment and partnership of O.A.R.S. Foundation, Four Corners School of Outdoor Education, and the National Park Foundation for making experiences like these possible. June 1, 2017 – EDWARDS, CO – SOS Outreach is excited to announce that world-renowned marathon runner Uta Pippig will be joining SOS and Tyler Hamilton as we cycle for the kids in the 16th annual Colorado-Eagle River Ride on Saturday, July 22nd. Uta shattered barriers as the first female to win three consecutive Boston Marathons, and clinched the titles at the New York City Marathon in addition to three Berlin marathons. In the process, she won the world over with her smile and the kisses she blew to the crowds on her way to the finish line. A long time supporter of SOS Outreach, Uta is an inspiration to all athletes, regardless of age and ability. Now, Uta channels the joy, passion, and discipline she brought to world-class competition into her work with Take The Magic Step Foundation, an organization that helps bring health and fitness programs to youth. Secure your VIP package to kick off the weekend right on Friday night, July 21st at the Dusty Boot in the heart of Beaver Creek Village from 6-8 PM for the second annual pre-ride River Ride Rendezvous VIP event. In addition to the meet and greet opportunity with professional athletes Uta Pippig and Tyler Hamilton, attendees will discover the Faces of SOS project, a gallery style exhibition of high quality images coupled with personal accounts of SOS participants. To round out the celebration, delectable appetizers and drinks will be provided at the Dusty Boot alongside a silent auction. This event is ticketed - select the ultimate VIP package (including access to the River Ride Rendezvous, this year’s jersey and registration in the ride of your choice) during checkout to join us! On Saturday, July 22nd, grab your bikes and hit the mountain or the road for a journey through some of Colorado's most scenic landscapes in these supported rides! The traditional River Ride component will continue to offer 100-mile, 68-mile, and 42-mile routes to suit every rider’s ability. Whatever option you choose, you will be rewarded with beautiful, scenic views of the Colorado and Eagle rivers. 100-milers and 68-milers will ride the famous River Road, a dirt-packed route following the banks of the Colorado River from Route 131 down to Dotsero. Aid stations fully stocked with food, beverages, repair kits and mechanics to keep every rider going. Not to mention, SAG (support and gear) drivers will offer vehicle support along the entire course. Prefer mountain biking? Get ready to crank it for the kids on either the short or long course. Both routes start from the heart of Beaver Creek Village, with the short course completing a loop on Beaver Creek and traveling down, and long course traversing trails across Beaver Creek, Bachelor Gulch, and Arrowhead before making final descent down to Beaver Creek Landing. Ride solo, or put together your team for a memorable day of riding to provide opportunities for local youth! As an inclusive community event designed for all levels and abilities, there are designated aid stations, SAG, and mechanics on site to provide support throughout. May 26, 2017 – EAGLE AND SUMMIT COUNTIES, CO The mountains may be closing in Colorado, but for Colorado Masters students the season is far from over. 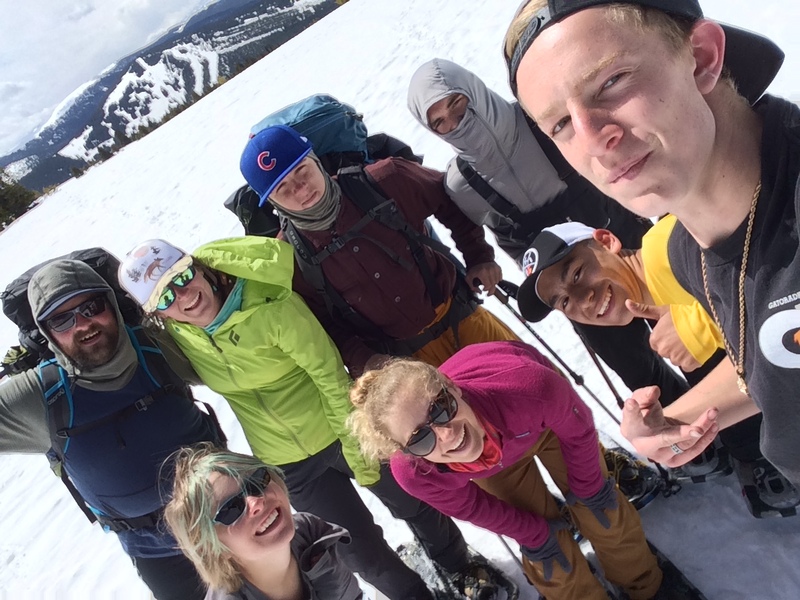 Last week, a group of Eagle and Summit county Masters students took to the backcountry to both celebrate the close of winter programs as well as kick off wilderness programs early. The group snowshoed 3 miles into Vance’s Cabin, a 10th Mountain Division Hut, located just to the north of Ski Cooper. The trip provided a new experience for the students and a new side of our winter programs. During the trip, students were introduced to basic avalanche safety (beacon hide and seek!) all while giving students opportunity to continue to build leadership skills taught over the year through leading various parts of the trip from navigation, to melting snow for drinking water, to cooking meals. More importantly, time was set aside for the students to reflect upon everything that they’ve accomplished during another great winter season with SOS Outreach. Furthermore, the whole group began to think about what exciting summer trips we have in store this summer which includes everything from backpacking high into the alpine in the Holy Cross Wilderness to deep within the Grand Canyon on the Colorado River. To cap off a great night spent in the hut, the group hiked to the top of Taylor Hill to take in amazing views of the surrounding mountains – the Sawatch, Gore, and Ten Mile Ranges – before hiking back to the trailhead to finally wrap up the winter season. May 19, 2017 – EDWARDS, CO – Back for the 16th year, the Colorado-Eagle River Ride and Roadhouse Mountain Bike Ride presented by Roadhouse Hospitality Group is bigger than ever! No matter your skill level, there is an option for you. Plus, you won’t want to miss an opportunity to ride with Olympic gold medalist cyclist Tyler Hamilton as we Cycle for Kids! Secure your VIP package to kick off the weekend right on Friday night, July 21st at the Dusty Boot in the heart of Beaver Creek Village from 6-8 PM for the second annual pre-ride River Ride Rendezvous VIP event. In addition to the meet and greet opportunity with professional athlete Tyler Hamilton, attendees will discover the Faces of SOS project, a gallery style exhibition of high quality images coupled with personal accounts of SOS participants. To round out the celebration, delectable appetizers and drinks will be provided at the Dusty Boot alongside a silent auction. This event is ticketed - select the ultimate VIP package (including access to the River Ride Rendezvous, this year’s jersey and registration in the ride of your choice) during checkout to join us! 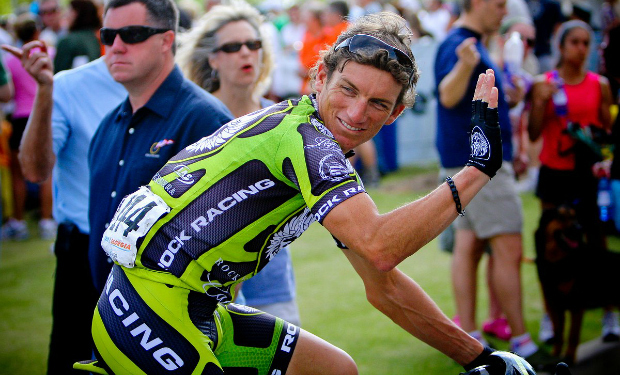 Tyler Hamilton was once one of the world’s top-ranked cyclists—a fierce competitor renowned among his peers for his uncanny endurance and epic tolerance for pain. He started his career with the U.S. Postal Service team in the 1990s and quickly rose to become Lance Armstrong’s most trusted lieutenant, and a member of his inner circle. For the first three of Armstrong’s record seven Tour de France victories, Hamilton was by Armstrong’s side, clearing his way. But just weeks after Hamilton reached his own personal pinnacle—winning the gold medal at the 2004 Olympics—his career came to a sudden end: he was found guilty of doping and exiled from the sport. Denying the use of performance enhancing drugs in the years that followed Hamilton was forced to come to terms with his past in 2010 when the Federal Government launched an investigation into systematic doping on the U.S. Postal Service team. Hamilton was subpoenaed to testify before a grand jury and for the first time, broke the code of silence that had protected the sport’s hard truth for so long. His testimony chronicled a shocking culture of performance enhancing drug use encouraged and aided by team doctors, managers and coaches, and a dark world in which the sport’s top performers lived. In 2012, Hamilton released his memoir, The Secret Race: Inside the Hidden World of the Tour de France: Doping, Cover-ups, and Winning at All Costs, a riveting journey into the heart of a never before seen world, the stark choices that went along with his decision to compete at a world class level and his complicated relationship with Lance Armstrong. The book became an instant New York Times bestseller and was the recipient of the prestigious William Hill Sports Book of the Year Award. Freed from the burden of hiding the truth and being able to tell a story that only a few short years ago would have seemed unimaginable, his story is the example of how culture can drive behavior – not just in sports, but in business and in life – and how values can be easily compromised as a consequence. He is also a testament to the transformational power of the truth. Hamilton raced professionally from 1995 to 2008 and now runs his own training business for cyclists of all levels, Tyler Hamilton Training LLC. He currently lives in Missoula, Montana. – May 8, 2017 – With a brief window between winter and summer programming, the SOS team is hard at work making final preparations for the annual fourth grade Colorado National Monument trips for 175 Eagle County youth. 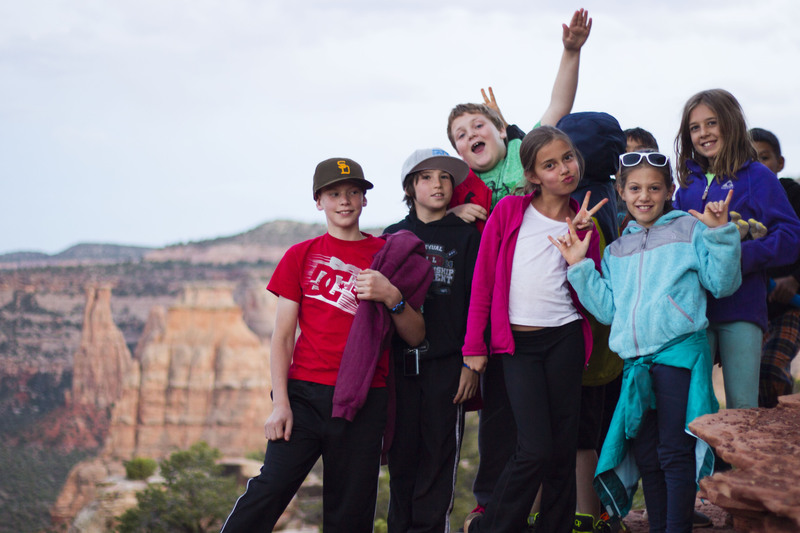 Throughout the month of May, five Eagle County Elementary schools will participate in a four-day, three-night camping, hiking, and rock climbing experiences that allow students to visit the National Park- Colorado National Monument, explore local museums and study the geology and natural history of Colorado. Following these excursions, summer programs across locations will be underway. Youth will experience rock climbing, paddle boarding, camping, mountain biking and backpacking adventures. At the guidance of SOS’s highly experienced summer guides, SOSers will experience many firsts in the outdoors this summer, whether it be an afternoon rock climbing or a seven day wilderness orienteering expedition. Stay tuned for more updates from the field! – April 20, 2017 –Throughout the year, SOS University Year 4 participants explore leadership through experiential exercises aimed at defining and understanding their own natural strengths and challenges as leaders. Each spring, participants organize a capstone Leadership Panel event to celebrate their year of training. This event fosters an intimate forum in which leaders from various sectors of the community are invited to share their backgrounds, leadership philosophies, and unique trajectories to success. This year, over 140 students participated in Leadership Panels across SOS locations, engaging over 20 local community leaders. Among invitees were Sheriffs, Forest Rangers, medical professionals, outdoor industry executives, community leaders and local government officials. Despite the diverse backgrounds, trajectories and professions of our speakers, common themes emerged as they shared their advice and answered questions from the crowd: find your passion, don’t be afraid to admit you’re wrong, find a mentor, never omit an opportunity to develop your skills, ask for help, don’t limit yourself, listen at least as much as you speak, and remain committed to the common good. When asked what inspired Forest Ranger Aaron Mayville of the Eagle-Holy Cross District of the White River National Forest to pursue his career path, he responded that a childhood trip to Zion National Park was one of his most formative experiences while Beth Howard of the Vail Resorts executive team reminded participants that great effort ought to be put into finding what they love to do, so that they can find a way to turn it into a career. No matter their path, this year’s panelists all agreed that it’s never to early to start planning for your future. By providing these types of opportunities, SOS promotes long-term individual success and helps connect youth with opportunities to place them on a trajectory for lifetime success. As our eldest SOS participants begin to think about their next steps beyond high school graduation, SOS Outreach is grateful for our local leaders who provide youth with the encouragement to follow their dreams. – April 12, 2017 – As the largest winter season in SOS Outreach’s history comes to a close, the organization is excited to announce that SOS served 3,940 youth across the organization’s ten program sites in Denver, Eagle County, Summit County, Steamboat Springs and Durango, Colorado, as well as Lake Tahoe, Nevada, Seattle, Washington, Portland, Oregon, Park City Utah, and new this year, Detroit, Michigan during the 2016/17 winter. 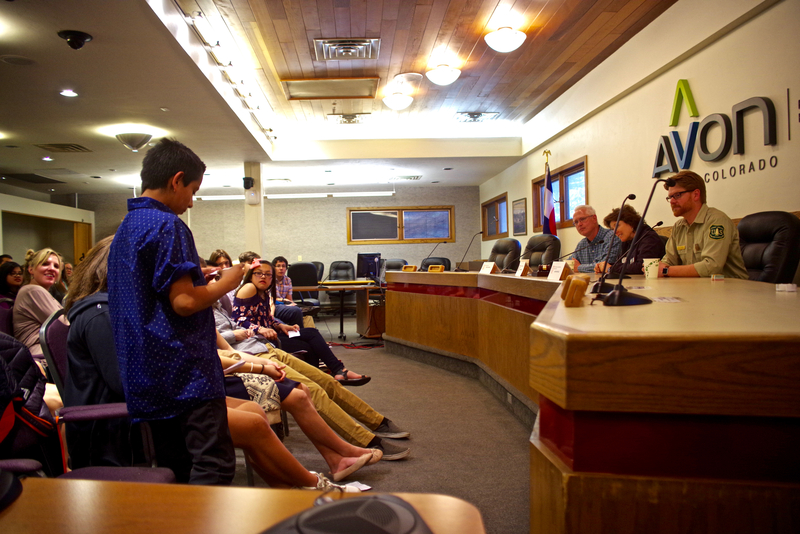 In Eagle County alone, 200 youth participated in the introductory Academy program, while 250 continued on through the mentor-based University program and 25 completed the capstone Masters program, acting as peer mentors to younger participants. Beyond activities on the hill, SOS participants across the country participated in over 500 hours of community service initiatives within their communities and 350 hours of leadership development workshops cumulatively. 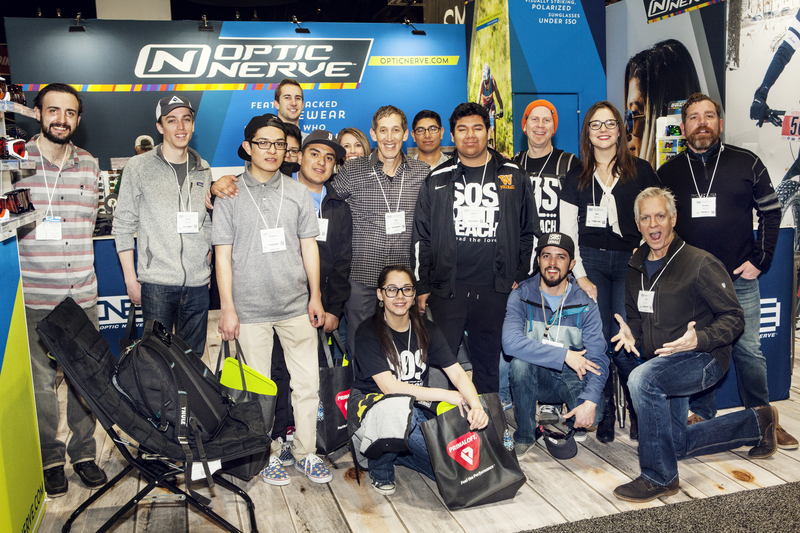 – Feb. 7, 2017 – For 20 years, Optic Nerve has been a core partner of SOS Outreach and its transformational outdoor programs benefiting underserved youth. Through this partnership, Optic Nerve has proven their dedication to positive youth development through outdoor adventure and leadership training. To top it off, Optic Nerve CEO, Bill Cotton, has served on the SOS Board of Directors since 1996, and has been instrumental in the evolution and growth of the organization. Synergistic partnerships like Optic Nerve are paramount to SOS Outreach’s ongoing success. Without the gear that keeps SOS youth warm and dry on the slopes, the organization’s programs would not be possible. Even more valuable, though, is the willingness of the Optic Nerve team to remain accessible and engaged in the day-to-day operations of the SOS family, warmly welcoming any opportunity to support the organization. All of us at SOS Outreach extend our sincerest gratitude to Optic Nerve for their shared belief and dedication to youth. Together, we provide underserved youth with the knowledge and confidence necessary to take the world by storm. – Feb. 2, 2017 – Mt. Brighton, MI - Mt. Brighton announced today it will partner with the nationally acclaimed SOS Outreach organization for five weeks this February to provide an outdoor avenue of adventure for young Metro Detroiters. The SOS Outreach program at Mt. Brighton introduces at-risk and underserved children at Detroit’s Cesar Chavez Martin Academy’s 3rd through 5th grade campus to the sports of skiing and snowboarding, while at the same time promoting the long-term success of youth through the life-changing aspects of achievement in outdoor recreation, positive adult mentorship, service learning and leadership development. A pilot program at Mt. Brighton running for five weeks in February to benefit inner-city Detroit area youth, SOS Outreach features a similar metro program in Denver that served more than two thousand young people. Currently, SOS Outreach offers programs across 30 mountain resorts in seven states and has full-time offices in Edwards, Colo., Frisco, Colo., Denver, Lake Tahoe, Calif., and Seattle – with more than 5,000 at-risk youths across the nation involved. – Feb. 1, 2017 – Denver, CO – The annual SnowSports Industries America (SIA) tradeshow is an opportunity for snowsports companies to showcase the styles, technologies, innovations, culture, and energy of the snowsports industry. For SOS Outreach, however, SIA is a perfect opportunity to bring SOS youth and the organization’s corporate partners together to share stories, learn from each other, and celebrate the opportunities realized through our partnerships. In the midst of our busiest program week in history, SOS prioritizes SIA participation as a way to cultivate partnerships and to recognize those who help share the joy of snow sports with youth. During SOS’ largest program week ever, over 1,600 underserved youth across 7 states experienced skiing and snowboarding, while remaining dry, happy, and properly outfitted. This is all made possible by the generosity of SOS’s corporate partners, most of whom are annual SIA attendees. Beyond meeting and greeting corporate partners, however, attendance at the SnowShow is a perfect opportunity for SOS to help long-term participants learn about potential future careers that incorporate the passion for the outdoors that they’ve developed through SOS. 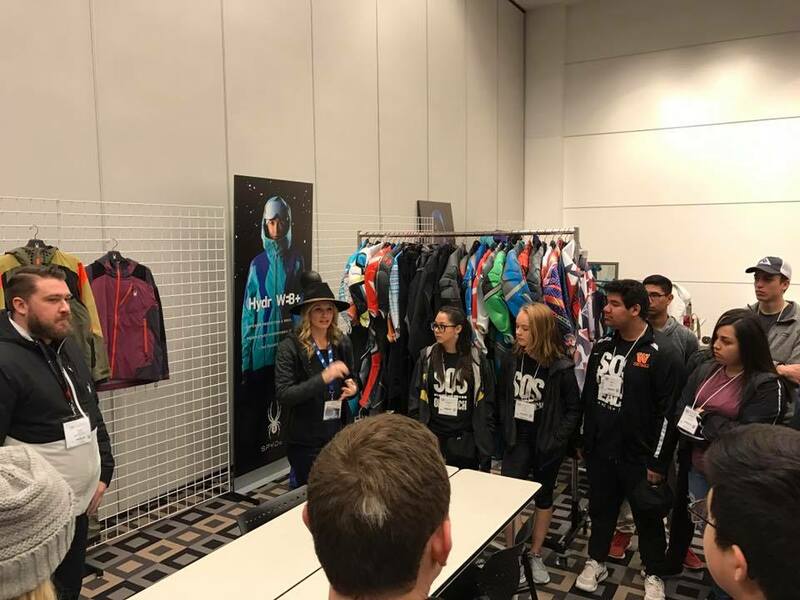 On the tradeshow floor, youth listened to industry reps discuss the latest gear, asked questions, and gained a better understanding of the various pathways to become involved in the snowsports industry. Through the tradeshow, SOS youth learn that the opportunities are endless, whether they hope to become ski instructors, CEOs, product designers, or sales reps.
To kick off this year’s event, a group of 40 SOS youth gathered in the foyer of the Colorado Convention Center to meet with members of the leadership team at Spyder as well as professional athletes Amie Engerbretson and Chris Davenport, to discuss everything from the company’s latest apparel line to the company’s sponsorship of the U.S. Ski Team to their recent collaboration with Marvel Comics. Engerbretson, who is also an SOS athletic ambassador shared her involvement in the apparel production process with the Spyder team. From design, to production and testing, Engrebreston is a true brand ambassador. Following Spyder, SOS youth hit the tradeshow floor to meet with corporate sponsors K2, BCA, Seirus, Big Agnes, and Optic Nerve, all of whom welcomed SOS participants to their booths to share their experiences and opportunities within their respective organizations. Big mountain skier and mountaineer, Chris Davenport, left our participants with one bit of advice. “Follow your passion,” he said, “and you will do great things.” SOS could not solicit a more powerful message in line with their program outcomes. By providing opportunities for youth in the outdoors and beyond, SOS promotes long-term individual success and helps connect youth with opportunities to place them on a trajectory for lifetime success. As more and more SOS participants pursue employment in the industry, SOS Outreach is grateful for the corporate sponsors who not only provide youth with the knowledge necessary to dive into the snowsports industry, but also with the encouragement to follow their dreams. With the continued support and leadership of the snowsports industry, SOS Outreach will introduce and shape the next generation of outdoor enthusiasts. – Jan. 22, 2017 – Vail, CO – Winter brings along with it another season of SOS Outreach outdoor adventure-based leadership programming, providing at-risk youth in Eagle County and across the nation the opportunity to take to the slopes. While providing an introduction to outdoor adventure sports like skiing and snowboarding is a component of SOS programs, it is not the program’s core. SOS programs promote the long-term success of youth through the life changing aspects of achievement in outdoor recreation, positive adult mentorship, service learning, and leadership development. Currently, SOS offers programs across 30 mountain resorts in 7 states with full-time offices in Edwards, Frisco, Denver, Lake Tahoe and Seattle, WA. This winter alone, SOS will serve over 4,000 youth across 10 locations. With a wildly successful expansion last year in Park City, SOS is thrilled to continue to provide opportunities for underserved youth. Specifically, SOS programs in Park City have doubled this winter and the organization embarks upon a pilot program at Mt. Brighton Ski Area benefiting inner-city Detroit youth. For over 5,000 youth across the nation each year, SOS is closing the opportunity gap by providing them the positive intervention necessary for success. March 2, 2016 – BEAVER CREEK, CO - This past weekend, six members of the SmartWool Advocacy Team joined SOS Outreach youth on the slopes of Colorado’s Beaver Creek Mountain to get a hands-on look at the lives changed through SOS Outreach programming. Since 2008, SmartWool has supported SOS through both monetary and in-kind donations that have been vital to ensuring the consistent opportunity for underserved youth in the outdoors. However, the support that SmartWool has provided does not end there. SmartWool CEO Mark Satkiewicz serves on the SOS Board of Directors, and has been instrumental in developing the organization’s strategic direction. In this multifaceted capacity, SmartWool Inc. has proven their dedication to positive youth development through outdoor adventure and leadership training and this past weekend, the SmartWool team took it to the next level. As a corporation equally rooted in corporate responsibility, ethical business and equality, it comes as no surprise that these two entities came together seamlessly to provide a weekend full of discovery and enlightenment for youth and adults alike. The weekend’s activities kicked off with a group dinner on Saturday night hosted at The Osprey in Beaver Creek Village, where SmartWool staff and SOS youth had the opportunity to discuss advanced topics like corporate giving and understand why the SmartWool team donates their time – as well as their gear and money – to the organizations that they serve. SOS Outreach Program Director Rob Crawford commented “It’s amazing to see a company put so much effort into their giving practices. To see their team interacting with our students with such care was eye-opening. SmartWool whole-heartedly cares!” On Sunday, the SmartWool team hit the slopes with SOS participants and embraced the opportunity to listen, learn and understand the individual realities that have been changed as a result of their partnership with SOS. The day ended with a surprise visit to the SmartWool Beaver Creek store, where all 60 SOS participants were invited to select a pair of Slopestyle Socks from the wall in commemoration of the day. Corporate sponsors like SmartWool make SOS Outreach programs possible. Without the gear that keeps SOS youth warm and dry on the slopes, the organization’s programs would not be possible. Even more valuable, though, is the willingness of the SmartWool Advocacy Team to act as positive role models and ethical industry representatives for SOS youth. All at SOS Outreach extend our sincerest gratitude to SmartWool for their dedication to youth and for taking the time to get to know and learn from SOS participants. It is through opportunities like these that underserved youth gain the knowledge and confidence to take the world by storm. February 24, 2016 – BEAVER CREEK, CO – This past Saturday, over 1,200 skiers and snowboarders descended upon Beaver Creek for the 13th annual Talons Challenge in attempt to conquer the steepest terrain Beaver Creek has to offer. Little did the competitors know that their challenge would also create unexpected opportunities for youth in the outdoors. Through the generous partnership of the Beaver Creek Resort Company, proceeds from Talons Challenge will benefit SOS Outreach and their transformational youth programs for Eagle County youth. SOS Outreach offers a progressive curriculum tailored to provide local youth ages 8 - 18 that center on 6 core values of courage, discipline, integrity, wisdom, compassion and humility to foster and promote character and leadership development. SOS programs are unique in their use of adventure sports, adult mentors, service learning and leadership development to engage participants for future success. Across all program locations this winter, SOS Outreach will introduce over 4,200 to the slopes at 31 mountain resorts in 6 states. The festivities did not end with the on-snow Challenge. The Peter Grant Johnson Foundation (www.whatwouldpeterdo.org) hosted the inaugural winter après ski celebration at the Osprey at Beaver Creek to raise additional support for SOS Outreach. Embracing the Challenge wholeheartedly, Team PJ had 36 registered skiers competing in the challenge and raised over $30,000 to directly benefit SOS Outreach programs. A highlight for all in attendance at this exclusive après event was the heartwarming story shared by of one of SOS Outreach model participants, Zeiri. 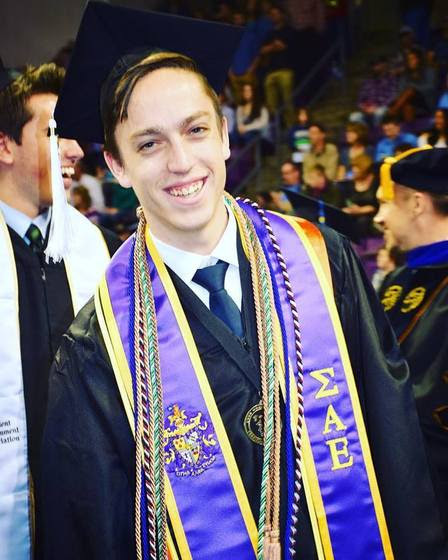 Zeiri, a graduating senior, shared, “Humility, my favorite core value out of the six, has taught me that being humble and courteous is the best way to earn the trust of others, and that sometimes we must put our pride aside to help. It has also taught me that we are all equal. Everything that SOS Outreach has taught me and the experiences I’ve had with SOS have shaped me to be the person that I am today. I am proud to say that I am an individual who spreads the love.” Additionally, Zeiri was recognized for her dedication to the community through the presentation of the 2016 Peter Johnson Legacy Community Leadership Award. VAIL – U.S. Ski Team downhiller Steven Nyman is No. 1 in your national rankings, and now is No. 1 in your heart, or the hearts of SOS Outreach. Nyman is the first SOS Outreach athlete ambassador, helping SOS Outreach celebrate 22 years of sliding on snow. Nyman is in town for this week’s Birds of Prey races, the World Cup stop in Beaver Creek. He’ll race downhill and Super G.
SOS Outreach CEO Seth Ehrlich knows Johnny Alamo, Nyman’s agent. They found common ground by starting the Peter Johnson Legacy Fund, partnering with SOS Outreach to serve underprivileged youth with mentorship and leadership in the outdoors. “I’ve always had an idea of getting companies to rally around kids,” Nyman said. “Every ski town is supported by a smaller town, and a lot of people don’t have the opportunity to ski and enjoy what they’re supporting,” Nyman said. Nyman has a house in Heber, Utah, near Park City, and is thrilled SOS Outreach recently expanded to Park City. He said he can’t wait to help kids the way other people helped him. “Why can’t we get a trailer and haul gear? At the nationals why can’t we get the athletes to teach people how to ski? I think the athletes would enjoy it. I also think it would be great for the kids and give them an experience,” Nyman said. Someone should do that, Nyman said. SOS Outreach has moved well beyond snowboarding into skiing, rock climbing and backpacking. “Part of our transition is moving beyond just snowboarding and recognizing how diverse SOS is,” Ehrlich said. Nyman is the top-ranked U.S. Ski Team downhiller, and No. 6 in the world. He’s a three-time Olympian — Torino, Italy, in 2006; Vancouver, British Columbia, in 2010; and Sochi, Russia, in 2014 — and is focused on his fourth Olympics in Pyeongchang, South Korea, in 2018. Born in Utah, Nyman was skiing at 2 years old. His mom taught him how to ski while his dad ran the Sundance Mountain Resort ski school. Steven and his three brothers chased each other all over the mountains. His goal these days is to be the first American man to win the World Cup downhill globe. Nyman is also a tech-savvy entrepreneur who built an international digital platform, Fantasy Ski Racer. The aim is to grow skiing’s fan base and participation. 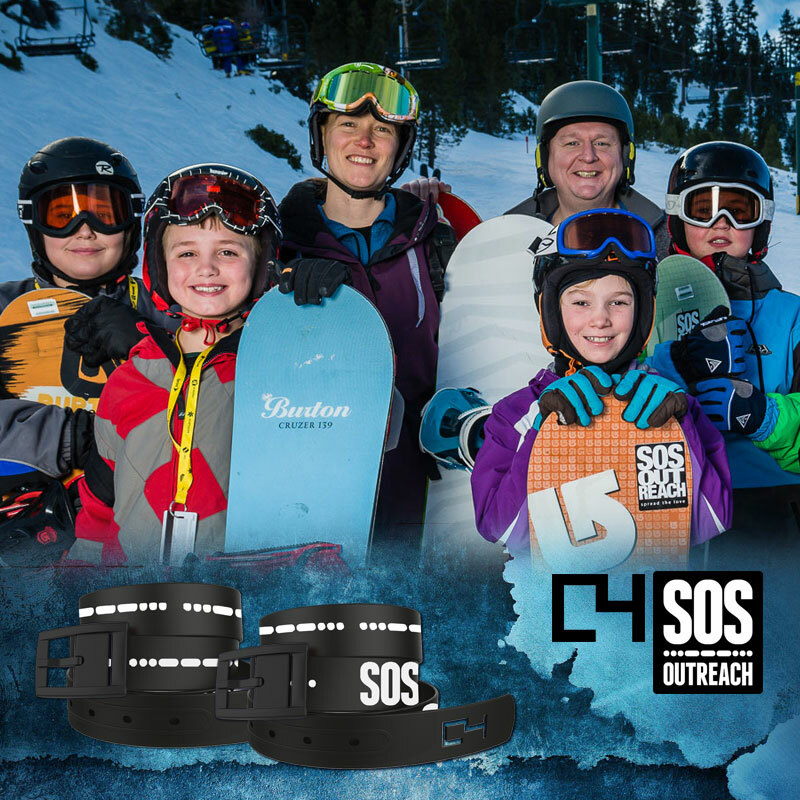 SOS Outreach introduces more than 5,000 youth each year to skiing and snowboarding. Since it was founded in 1993, it has introduced more than 45,000 youth to the mountains. SOS Outreach offers programs at 31 mountain resorts in six states. 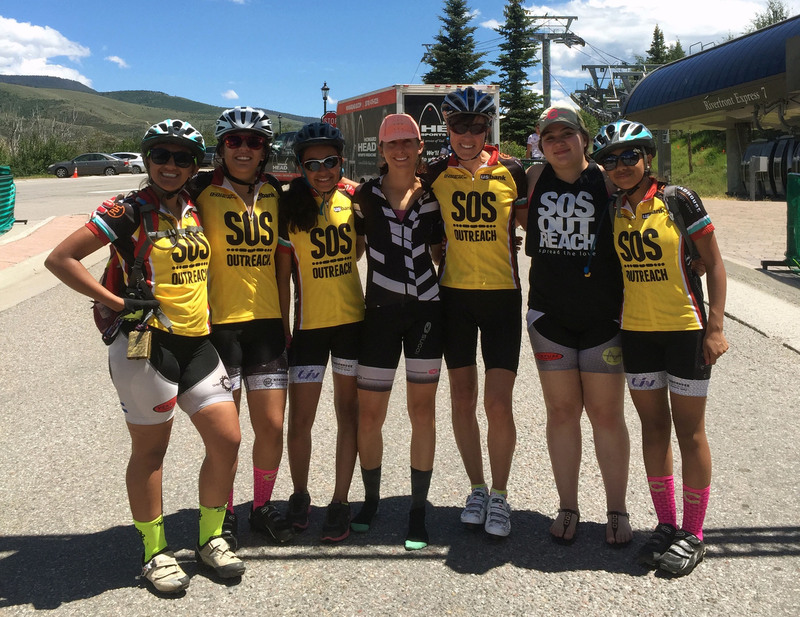 New this year, SOS is expanding programs to Nyman’s hometown, Park City. “Without the support we receive from the community, as well as all of our mountain partners nationally, this level of impact wouldn’t happen,” said Ehrlich. That will enable SOS Outreach to connect with at-risk youth in Salt Lake City, Ehrlich said. Participants face a variety of challenges, including failing grades, low-income households and single-parent families. Along with the opportunity to experience mountain adventure sports, SOS programs puts kids together with positive adult mentors that offer encouragement and act as positive role models for youth. 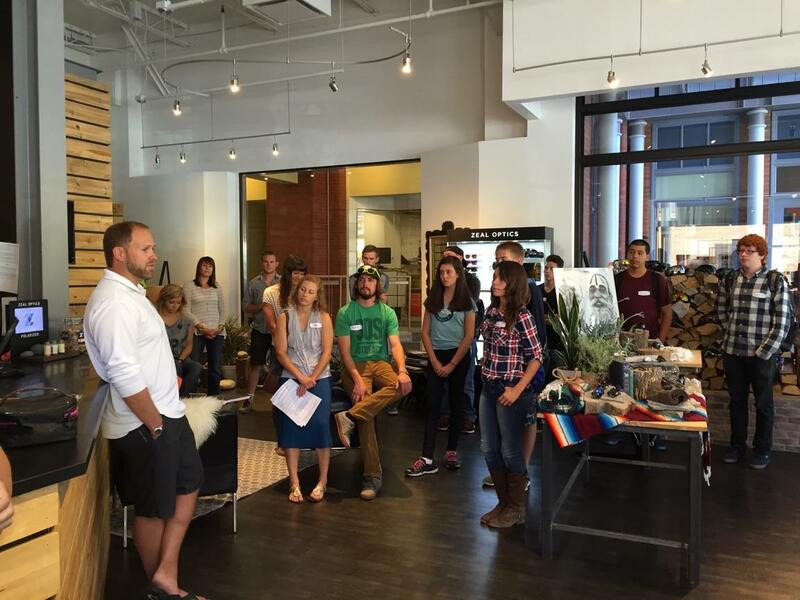 On Wednesday, August 12th, SOS Outreach held its inaugural Industry Day in Boulder, Colorado. A select group of 22 high school aged, long-term SOS participants from Eagle County, Summit County and Denver toured the corporate offices of Zeal Optics, Active Interest Media, Sea to Summit, and Vail Resorts and heard from Hillary Harding of the Outdoor Industries Women’s Coalition. The main purpose of Industry Day was to expose SOS youth to the outdoor industry by giving them a chance to listen to industry representatives, see their offices, ask questions, learn about professional development and gain a better understanding of the opportunities to become involved in the world of outdoor sports. It was a full day of presentations and meeting the staff and leaders from each company. Whether it was Mike Lewis and Ben Peters at Zeal Optics, Jenn Simon at Sea to Summit, Greg Ditrinco at AIM Media or Erin Keane at Vail Resorts, they all shared and expressed their passion for the outdoors and how that led them to their careers in the industry. “A career in this industry does not mean you will be climbing up a step ladder to the highest position, you will instead see yourself moving around laterally across many companies as a manager here and a manager there. That is what it takes to follow your passion in the outdoor industry,” said Erin Keane of Vail Resorts. While eating burritos from Illegal Pete’s, another sponsor of the day, Hillary Harding of the Outdoor Industries Women’s Coalition talked about her unique story as starting out her career in the industry as outdoor guide and transitioning into the nonprofit-sector. She conveyed the importance of speaking up and asking questions in order to push you from the background into the foreground. The day closed out with a visit to Vail Resorts corporate headquarters in Broomfield, CO where Epic Promise organized a leadership panel of employees from different departments ranging from Human Resources to Project Management. Vail Resorts’ Epic Promise is SOS’s biggest corporate sponsor. Every year they donate ski passes, lift tickets, lunch vouchers, ski instructions and gear to our youth in the SOS programs. For our students, it was a great opportunity to ask questions about what job opportunities Vail Resorts can offer. Overall, it was truly inspiring to see the interaction between SOS youth and the employees of the participating companies as they bonded over a mutual passion for the outdoors, and talked about how that passion can be translated into a career. SOS corporate partners engaged with our students in a unique way by providing an opportunity to meet face to face while also showing them their offices, day to day operations and products. In high school, I had a biology teacher who had my utmost respect. His preferred method of discipline was having students come in to his classroom to feed the turtles. In reality it was an excuse to build a relationship with the kids and reinforce positive behavior. So I took my cues from Doc Lynch and used this tactic with the Masters, focusing on building relationships with them one-on-one before and after class. Over time we built mutual respect and trust. Our recent backpacking trip was an opportunity to solidify that relationship and hang out with these kids who I’ve grown so fond of. The next day we set off on our adventure. It was clear from the start that this group was special. Little moments made me proud to say I had worked with these kids for a year: Chris shared his sandwich with Noah, who had forgotten to pack lunch. Alexis helped Sarah cross the river without even being asked. As appointed team leader, Kevin set a pace for the group that was considerate of everybody’s needs. And Noah kept us in high spirits despite the rain by leading group songs. As the group stated regularly, we were a squad. The next day was orienteering. John showed the kids how to use a topographic map and a compass, and told them our goal: an ascent up a nearby peak. They would have to orienteer their way there – there was no trail. After providing them with the resources and knowledge necessary, we sat back and let the kids come up with a plan together. That night, drying our socks and shoes around the campfire, we talked about the day. What did we do well? What could we have done better? This led back to the theme of the trip we’d been discussing since Day 1: integrity. Did we act with integrity? What does it mean to have integrity as a team? When navigating a difficult decision, you must use the resources you have and work with your team mates. But in the end, it all comes down to that compass. If you follow it in the direction you want to go, you will ultimately arrive at your desired destination. We talked about how this applies to their lives and the difficult decisions they will have to make. As these high school kids grow up, they must listen to their own inner compasses in order to make the choices that are right for them. The conversations that happen in the wilderness are special because when we are away from the constant pressures and distractions of everyday life, we break down walls that we didn’t even realize were there. In the wilderness, I got to know every single one of my students on a whole new level – the same way they got to know me and each other. On our last night we had some time to sit and stare out at a beautiful vista, a view of the entire valley. One of my students told me this trip opened his eyes. He had never seen a beautiful view like that before, and he wanted to see more of them. Another student asked me for advice about how to stay on the right track. Another remarked on how he is excited to step up and be more of a leader when he starts high school next fall. Back in civilization the next morning, we gave the kids compasses as a parting gift. As everyone was leaving, I heard Alexis say, “I will never forget this trip.” I feel exactly the same way. Staff arrive early the first day of a BYA program to meet the kids and their parents. Final waivers are signed, seat belts are fastened, and the van is off. The first day's activity is rock climbing, and the core values we're discussing are courage, wisdom and humility. At the rock wall, our guides gather kids into SOS's signature "circle of love." Students have done this before during winter programs, and many are ready and excited to share their definition of the day's core values. Others are more focused on the upcoming activity - the cliffs are intimidating up close. Summer guides deftly lead the conversation, by drawing kids out of their shells, acknowledging the emotions and challenges ahead and creating an overall encouraging and supportive community. Fear is a common theme on rock climbing day. "Fear is good because it keeps us safe. Fear is bad when it stops us from trying things that are probably okay to try," remarks Josiah, a gregarious twelve year old who is eager to climb. Joe, our climbing guide for the day, has a motto for the kids, relating to courage: he tell them to "just try things." Guides go over climbing safety, divide the kids into groups, everybody gets harnesses and helmets. Finally, it's time to start climbing! Every team member sets a personal goal for the day. Some kids love it instantly and scale the wall easily, excited to discover something new that they are good at. Others are more hesitant. But with patient encouragement, every participant achieves their personal goal. Breaking for lunch, kids talk about what they've learned. 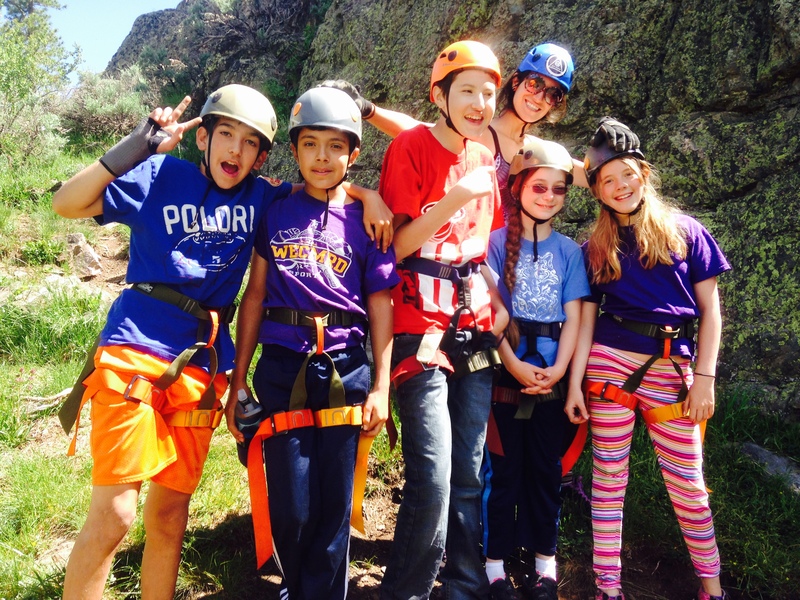 Besides learning a new sport and finding courage in themselves, the kids also learn a valuable lesson through the teamwork required to execute a successful climb: climbing groups stay together, because teams support each other. adventure is a hike, and the core values are courage and discipline. Day 3 brings stand up paddle boarding and a service project. Paddle boarding is usually the favorite activity of the week - kids love getting out on the water. Throughout both activities kids discuss the core value of compassion. On the last day, SOSers do ropes courses and team building activities, as well a circle of love discussing integrity. By the end of the week, each participant has experienced a wide range of new outdoor activities. More importantly, however, they have formed close bonds with their peers and guides and discovered that they are capable of more than they thought. As we overheard one kid say during a service project a few weeks ago, "summer programs are awesome!" Local Partnerships Are The Key To Making Summer Programs A Success! Since its inception in 1993, SOS Outreach has expanded upwards and outwards to provide long-term programming for underserved youth. After finalizing a merger with Meet The Wilderness in 2009, SOS has further expanded its impacts by providing year-round programming. SOS summer programs provide positive touchpoints for youth during their summer vacation, continuing their engagement with adult mentors, service learning projects, outdoor activities and the SOS core values. We are excited to kick off a summer full of programs in Eagle County, Summit County, Leadville, Durango, Steamboat, Denver, Tahoe, and Seattle this year and serve over 1,000 SOS youth! Outdoor Activity Days, like learning yoga from Adventure Yoga for Kids and Lake Tahoe Yoga, stand up paddle boarding with Alpine Quest, Stand Up Paddle Colorado, South Tahoe Stand Up Paddle, and KODI Rafts, mountain biking through a partnership with Vail Resorts Epic Promise, skateboarding with Daffy Skate Company and day camp experiences with Tahoe Family Solutions, Camp Explorer and Adrift SUP shop, and backpacking, camping and rock climbing programs with the National Forest Service. These partnerships are integral to the success of SOS Outreach as they provide our youth with a variety of new experiences that both inspire them and get them involved in diverse facets of their communities. We are lucky to partner with so many organizations that value community improvement and youth development. Seth Ehrlich, our Executive Director, touches on the importance of these partnerships to SOS’s curriculum: “SOS is unique in its ability to leverage the support from many organizations and individuals to provide a multi-year leadership and development program.” With all these activities, SOS participants have a lot to look forward to this summer! In addition to these fun daytime activities, SOS youth who have been with the program for 3 or more years have the opportunity to participate in overnight experiences outside. These trips range from base camping experiences to a 4 day backpacking trips. With the guidance of our expert SOS Summer guides, participants learn how to be self-reliant in the wilderness, reflect on themselves as individuals, share with each other in the non-judgmental environment of the vast wilderness and build friendships that last far beyond the hiking trails. With multiple trips going out in the field across activities and locations every week between now and mid-August, SOS is on-board for a jam packed summer filled with fun activities, good discussions, reaching goals, team bonding and circles of love! Here at SOS, we value getting outside, and think it is especially important for kids. 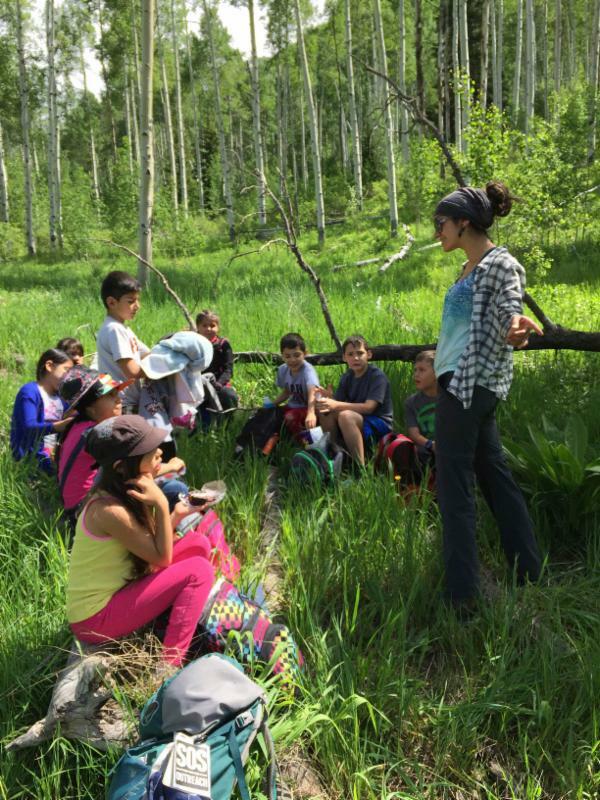 That’s why we kick off summer programs each spring with camping trips to Colorado National Monument, open to almost every 4th grader in Eagle County. This year we will get 158 local fourth grade kids out of the mountains and into the desert for a 4 day, 3 night experience including rock climbing, hiking, visiting national museums, cooking meals as a group, and sleeping under the stars. The impact this kind of experience has for many of our youth is unforgettable. Successful Monument trips are made possible through the dedication of our awesome summer guides. This year, they are all returning guides, and some of them are going on 8 years with SOS. They all have their Wilderness First Responder Certification, and like to spend more time outdoors than indoors. As part of the Colorado National Monument trips they facilitate rock climbing and hiking activities, plan dinners for up to 75 kids, put together skit nights and aren’t afraid to act silly (when appropriate), teach kids about plants and the outside world, and relate the activities back to the SOS core values. Without our amazing guides, these trips would not be nearly as impactful for our youth. Besides the fun daytime activities like climbing, hiking, and visiting museums, the Colorado National Monument trip is also an overnight base camping experience. This includes cooking group meals together as a team. As Jacob puts it, “Many of the students have not had an opportunity to help out in the kitchen at home, so they are thrilled when they get the opportunity to cut veggies, learn new basic skills, and contribute to the group by assisting in preparing a meal for everyone.” Monument trips give youth opportunities like these that increase their sense of belonging and self-esteem. With Monument trips in the field every week in May, there’s no question of easing into summer programs slowly. For SOS we are diving in head first and looking forward to full summer of inspiring youth through outdoor sports! 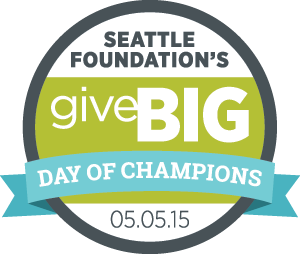 May 5 is Seattle Foundation’s Give Big event. SOS will receive incentive funding from Seattle Foundation for every dollar donated that day, plus we just received an anonymous matching grant – if we raise $2,500 we will receive an additional $2,500! We would love to meet that full match. If you are in a position to donate, we would really appreciate it! Every dollar raised on May 5 will support our Pacific Northwest Programs. 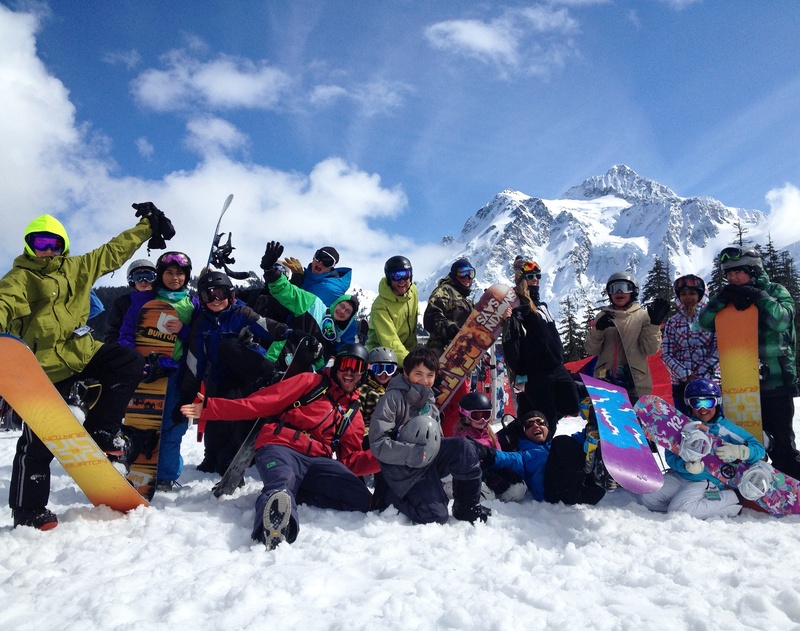 SOS uses snowsports and positive adult mentors to engage and inspire youth. The program transforms the lives of kids like Peter. Peter is a second year participant at our Snoqualmie programs who immigrated to Seattle from Guyana and is overcoming significant challenges in his life, including watching his mother battle HIV. As an additional incentive, Ride Snowboards is supporting this event. They have given us two snowboards to raffle - everyone who donates $20 or more will be automatically entered to win! We serve some amazing youth! Please consider supporting our work. Donate here on May 5.